Note list is the elegant notepad app for your mobile devices. 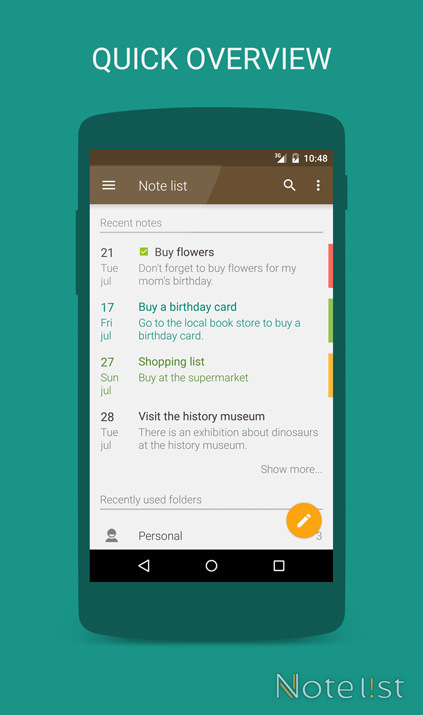 With Note list's simple operation and versatility you can create quick notes, todo items and write down all your ideas and reminders. Use the folder structure to keep all your notes organized. 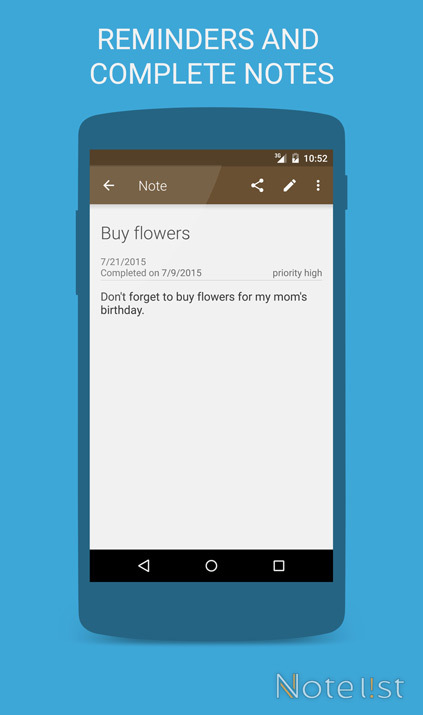 Looking for a simple yet powerful notepad app for your Android device, Note list is it. 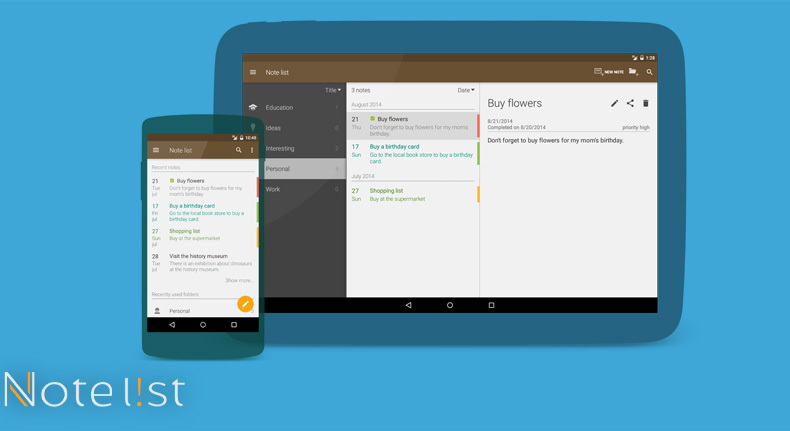  Organize notes - Store your notes in folders and archive folders.  Quick access - Add a shortcut to your home screen to quickly open the notepad editor to create new notes. 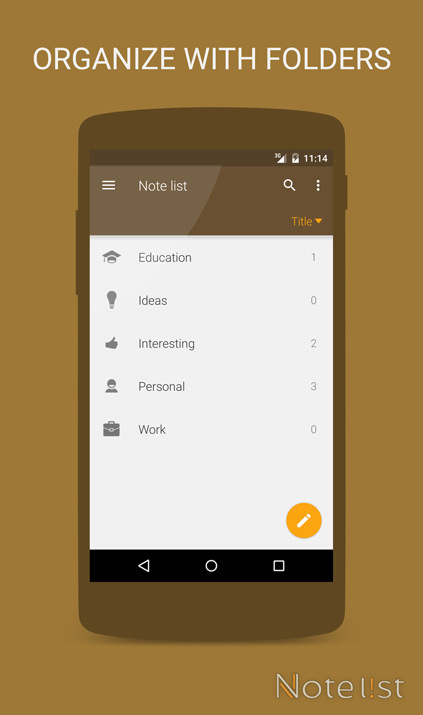  Reminders - Add reminders to notes and check completed notes.  Backup/Restore - Keep your notes save by using the backup manager or synchronization function. 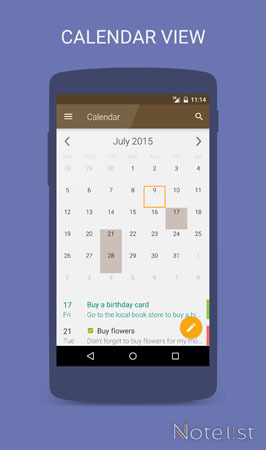  Calendar view - Not only is Note list a great note app, you can also use it to write down todo items.  Language support for: English, Dutch, German, Italian, Spanish. 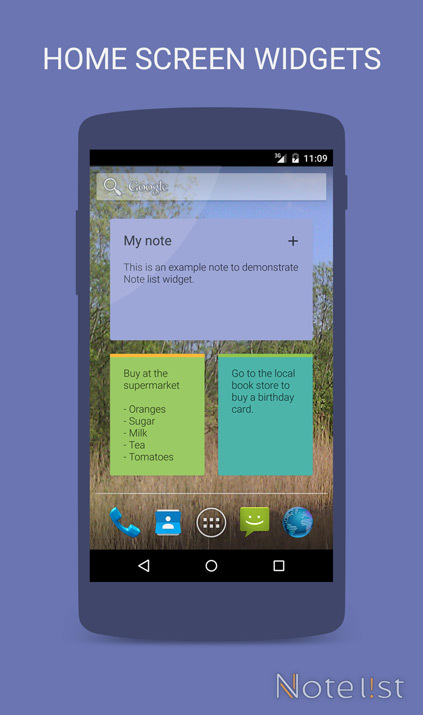  Use Note list ads free.  Bold, Italic, Underlined, Font color, Highlight color markup options. 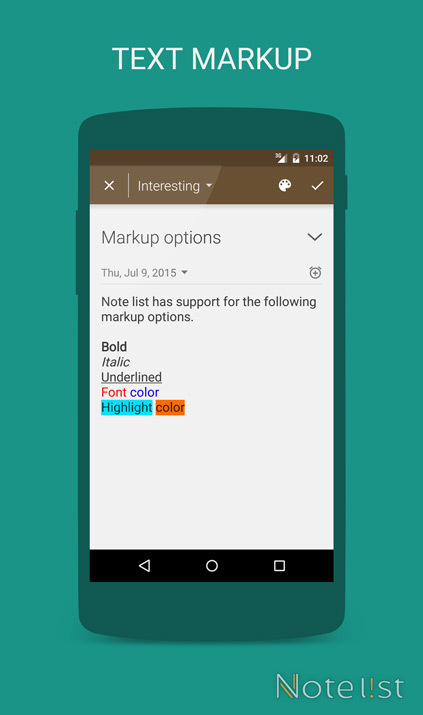 "The first thing you'll notice about Note list is just how nice the layout and design is. 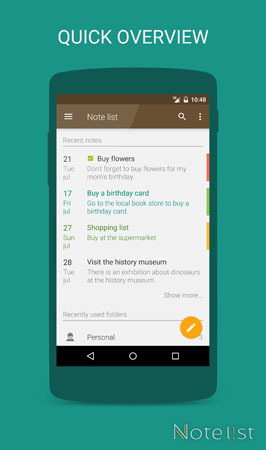 - AndroidTapp.com"
"Note list is an extremely well-polished and elegant note-taking application for Android users looking for a small, easily manageable, and clutter-free note-taker. - XDA-Developers.com"
"Note list Helps to Manage All Your Notes - AppEggs.com"